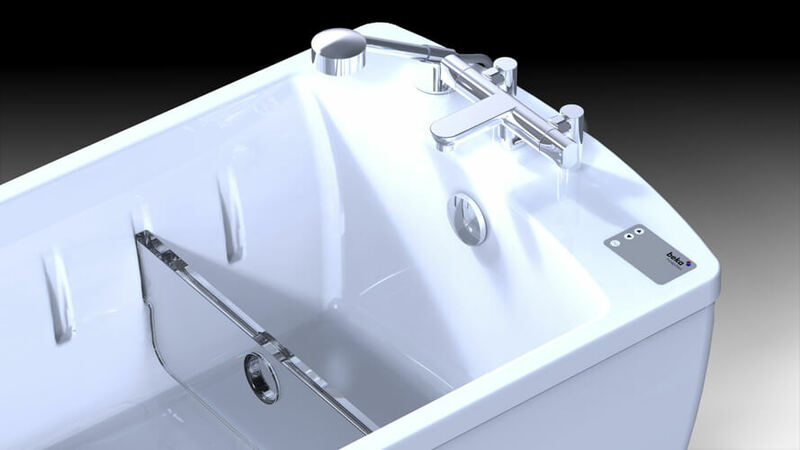 The free standing Avero adjustable height bath is the latest generation of patient handling disabled baths with bariatric lifting capacity. 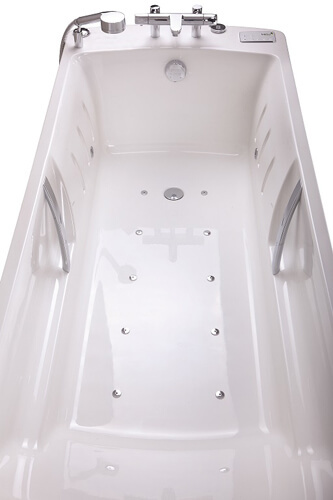 This beautifully designed specialist tub has been sculptured to give the maximum internal size with minimum external length of around two meters, giving the client plenty of room to move about, with an extra four inches of internal width. 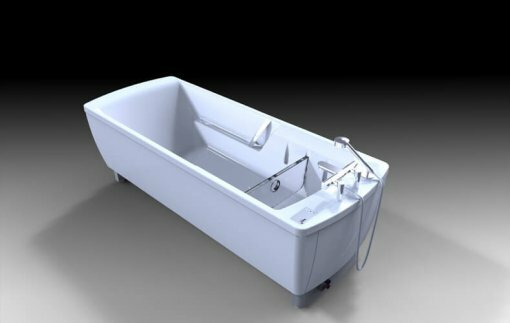 This contemporary, elegant, timeless and ergonomically designed bath will accommodate all types of Astor-Bannerman mobile hoists and ceiling hoists, internal supports and cushions to benefit all our clients’ needs including use as a bariatric bath solution. 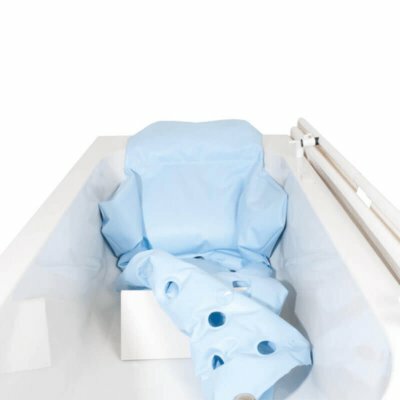 If using in conjunction with a hoist, the unique patented Astor-Bannerman Neatfold drying and changing stretcher can be added to the Avero bath. 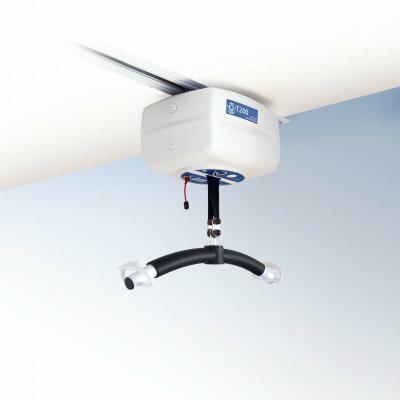 This enables additional client care to be carried out without unnecessary room to room transfer, whilst the heat from the bath below will keep the client comfortable and warm. 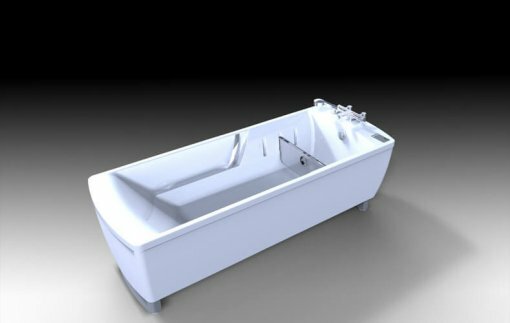 The double bath tub thickness with integrated insulation layer helps maintain water temperature and with an internal length of 1770mm, the bath can be shortened for individual clients using an optional footboard which can be slotted securely into 3 different positions. Premium, chrome brass grab handles can also be added if required to assist with user comfort. 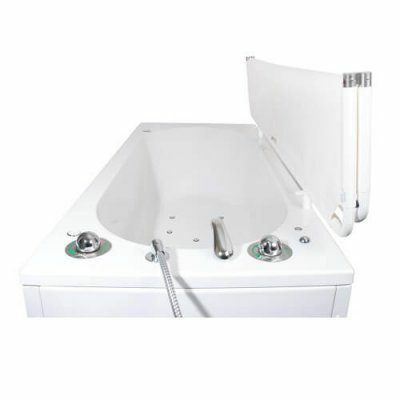 As with most Astor-Bannerman assisted baths, a warm air spa can be added which gives a relaxing massaging effect along with an aromatherapy system if desired. Colour changing LED lights and an integrated Bluetooth speaker system can also be incorporated to help stimulate the senses giving the ultimate bathing experience. 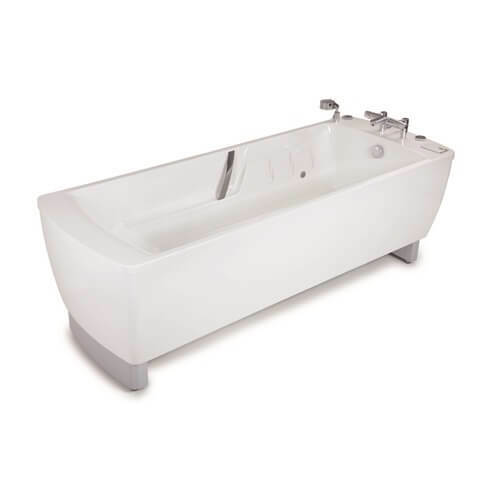 You can now even purchase this popular Avero as a standard fixed height bath in a choice of 2 different heights of either 650mm or 750mm. All Avero baths by Astor-Bannerman come with a 3 year warranty* for complete peace of mind, and a wide range of thermostatic mixer tap options including WRAS approved gantry shower if required. 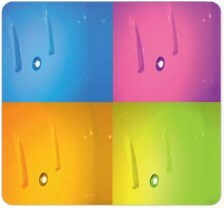 The Avero baths are also available in almost any colour, so let your imagination go wild and try something new! Astor-Bannerman (Medical) Ltd supplied this product to the family featured in the BBC One series ‘DIY SOS: The Big Build’ and was used as part of a life changing transformation to the family home.